When you enter an Activity, make sure to select the related case (if there is one) from the list "Associate with Case." Also, be sure to Enter in the Start and End Times of the Activity (when completed) in the form shown: e.g., 09:30AM . 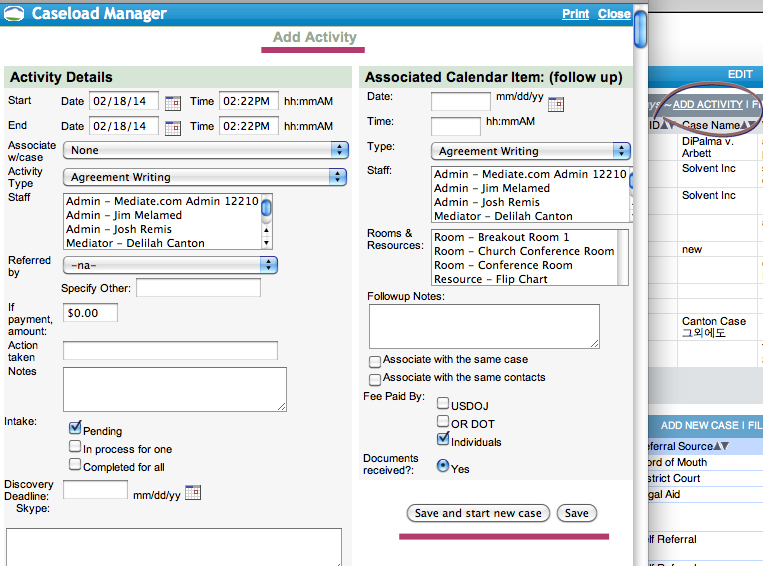 Caseload Manager can then calculate how much time you are spending on specific activities and specific cases.